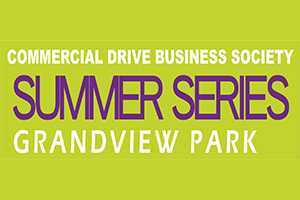 Sept. 10th at Grandview Park. It was literally quite the show of force this past Sunday. 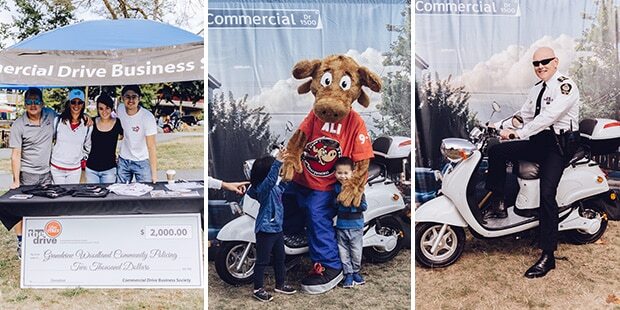 The fun filled Sunday event brought children, men, and women together that are passionate about putting children’s safety first. 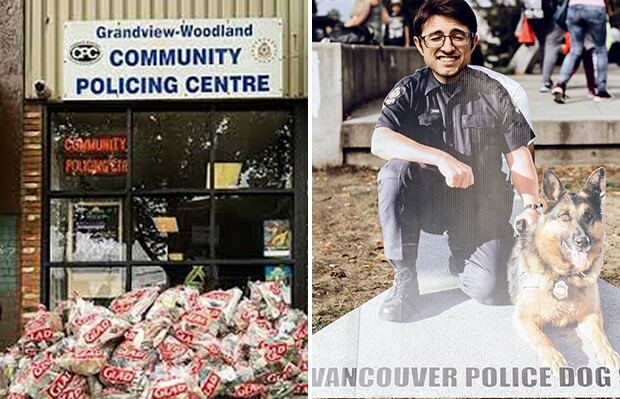 To make this happen, Cops & Kids included visits from VPD patrol officers with their emergency vehicles, the Motorcycle Squad, the Marine Squad, VPD and Transit Police Dog Squads. Vancouver Fire and Rescue, BC Ambulance Paramedics, Park Rangers, and with vendors from E-Comm. 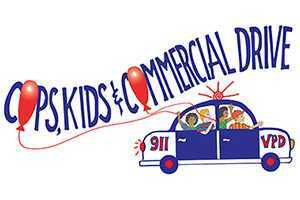 9-1-1, Child ID, ICBC the City of Vancouver’s Neighborhood Emergency Preparedness Plan, and the Vancouver Police Museum. A long list of participants no doubt, but it does take that big of a community that cares to make it happen. There is a also an overwhelming gratitude for the amount of volunteers that help make the experience possible. And of course we there with the Commercial Drive Business Society's Booth and Photo Backdrop to win prizes and provide information regarding our wonderful streets and events. The presentation is an overwhelming delight for anyone that attends. For everyone to visit first hand, all the tools, and resources used to keep everyone safe was inspiring for many. Everyone in uniform was also there to answer any questions and address any concerns. 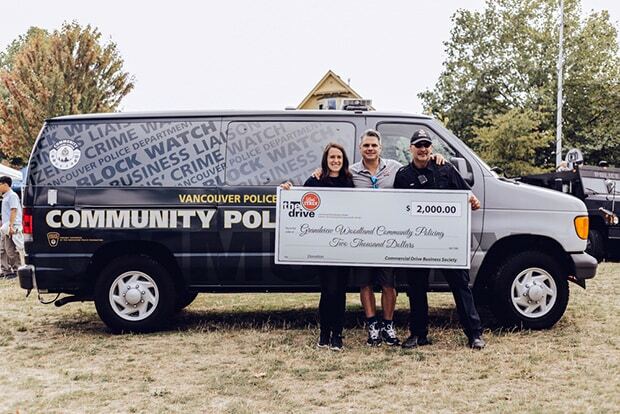 In addition to the success of this event, CDBS supported the Grandview-Woodland Community Policing Centre's (GWCPC) event 'Cops, Kids and Commercial Drive' with a donation of $2,000.00. It is an honor to give, and are proud of this partnership! 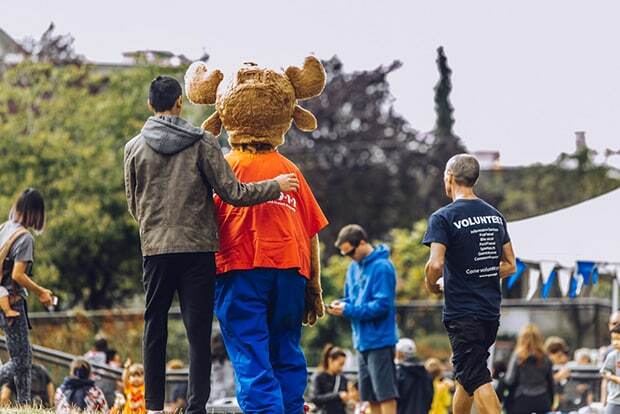 Lastly, The GWCPC is dedicated to providing crime prevention assistance and education to the Commercial Drive corridor and surrounding area. Members of the community are encouraged, through education and engagement in volunteering with the GWCPC, to become active participants for increasing safety awareness and decreasing crime in our surrounding vibrant neighborhood. So next time you pass by 1977 Commercial Drive, come say hello to the some of the great people that keep The Drive safe, and peaceful. And make sure you see us again next year for another arresting experience!